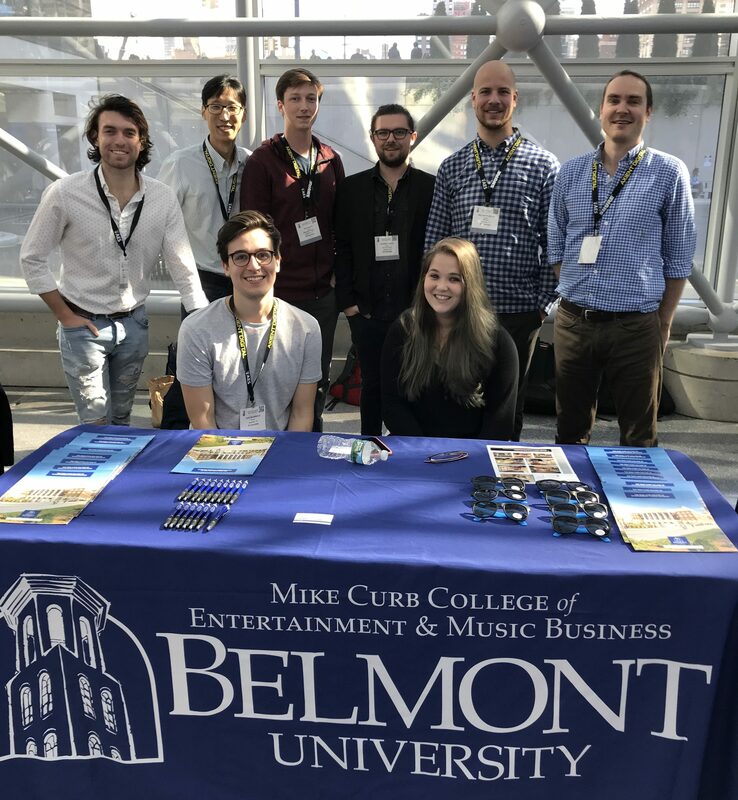 Belmont students and faculty from the Curb College of Entertainment and Music Business and the College of Sciences and Mathematics attended the 143rd meeting of the Audio Engineering Society in New York from Oct 18-21. They spoke regarding their research on auditory perception, sound-mapping and education practices, as well as staffing a recruitment table for the Education & Career Fair portion of the conference. Alumnus Kerrick Crace (back row, center) won second place in the mixing competition in the Sound for Picture category.